Picky eaters, various diets, or food allergies. It can feel impossible to feed people when no one will eat the same thing! The hard truth is that if the people you’re feeding won’t all eat the same thing, it will be more difficult, time consuming, and possibly expensive than you would like to create meals. But! That doesn’t mean that we can’t simplify things and make them as easy as possible. I’ve rounded up a bunch of meals you can make where everyone can make theirs in a way that aligns with their preferences/needs. Another great thing about these meals is that everyone gets to put their meal together how they like it, meaning once you’ve set out the fixins, you can make your meal and enjoy it without having to serve everyone. Sidenote: Don’t forget to grab my free weekly meal plan printable. I use this printable every week to plan our meals! 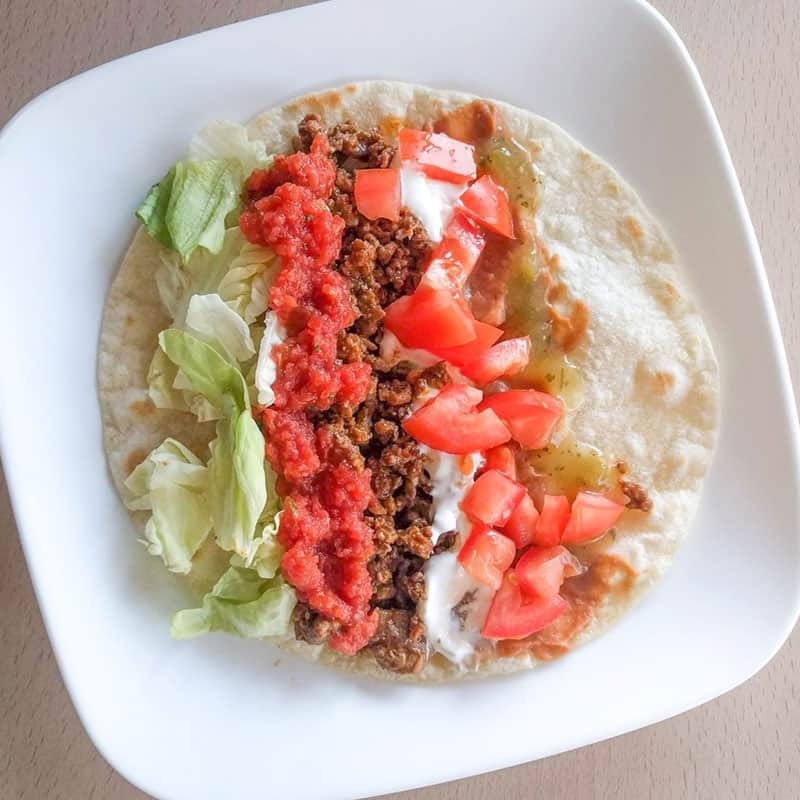 With so many topping options, everyone can make a taco they will like! We’ve served tacos when we were having a friend over who has a dairy allergy. She skipped the sour cream and cheese, but still had a delish meal. Low carb people can skip the tortilla. Vegetarians can go heavy on the beans and veggies. Picky eaters can make a taco with whatever they’re willing to eat. Serve tacos on flour or corn tortillas, tortillas chips or corn chips, or on large pieces of lettuce. Add sliced onions and peppers while you brown the ground beef to have some cooked veggies in the tacos. Use ground turkey or chopped chicken instead of ground beef. Shredded Cheese. Mix it up with sharp cheddar, pepper jack, a taco blend, or any other kind of cheese. When my family stayed with us one year for Christmas we ate a lot of wraps! We all prefer slightly different kinds of foods and it’s just hard to find meals that everyone will enjoy. Add two little kids to the mix and it got more tricky. Wraps worked perfectly! I lightly seasoned boneless skinless chicken breasts and then cooked them in my instant pot, so there was plenty of cooked meat available. We had a lot of veggies, sauces, and fixins for each person to make up their wrap how they wanted. Austin and I eat chicken wraps for dinner almost every week and have debates about whose flavor combination is the best. Of course, we each prefer our own! 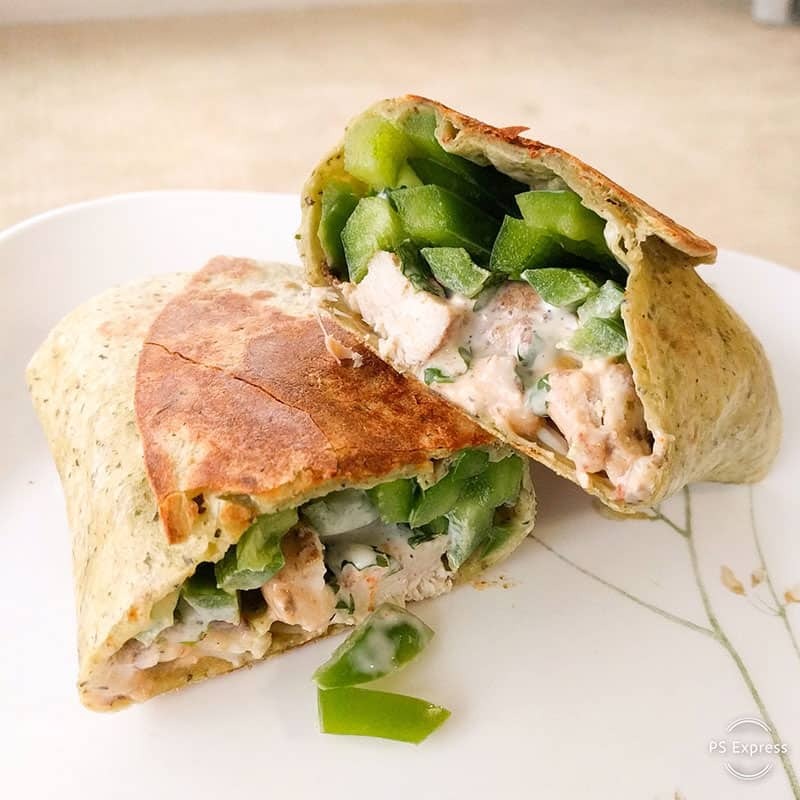 Use flour tortillas or flavored sandwich wraps. Eat it cold or wrap it up and heat it on the stove on low heat until the inside is warm and the outside is golden brown. Change up the seasoning or marinade that you cook the chicken with. Sliced Green Peppers. These are great in place of lettuce if you’re heating your wrap. Shredded Cheese. Try various kinds for different flavors. Subs are another great option that everyone can enjoy. Just look at all of the different people who eat at Subway! There’s a sub for everyone. And just like a sub shop, you can eat your sub cold or layer on the meats and cheeses and then toast it in the oven for a few minutes before adding the rest of the toppings. We made subs for a birthday party once and it was a hit! Obviously you don’t need to buy everything on the list below. Just use it as an ideas list. Choose a few meats, cheeses, veggies, and sauces so that you have a variety. Bread: Get really good hoagie bread, a loaf of french bread, sourdough, or rye bread. Apple Cider Vinegar: A splash of this is our must-have secret ingredient. Burgers might not seem all that flexible for different kinds of eaters, but they can be! We always buy frozen burger patties and you could easily store beef, turkey, veggie, and salmon burgers in your freezer. Just pull out what each person wants for a meal and grill them up. All of the spare patties will stay good in the freezer for months. With a variety of toppings, each person can have their burger customized. Cheese slices. Mix up the flavor with provolone, pepper jack, swiss, or gouda. Salads offer up endless possibilities right? Once you add some sort of protein, you’ve got a full meal. Again, you do not need to buy a massive selection of foods. Just choosing a few options gives people the ability to make a meal that suits them. And don’t forget about dressings! 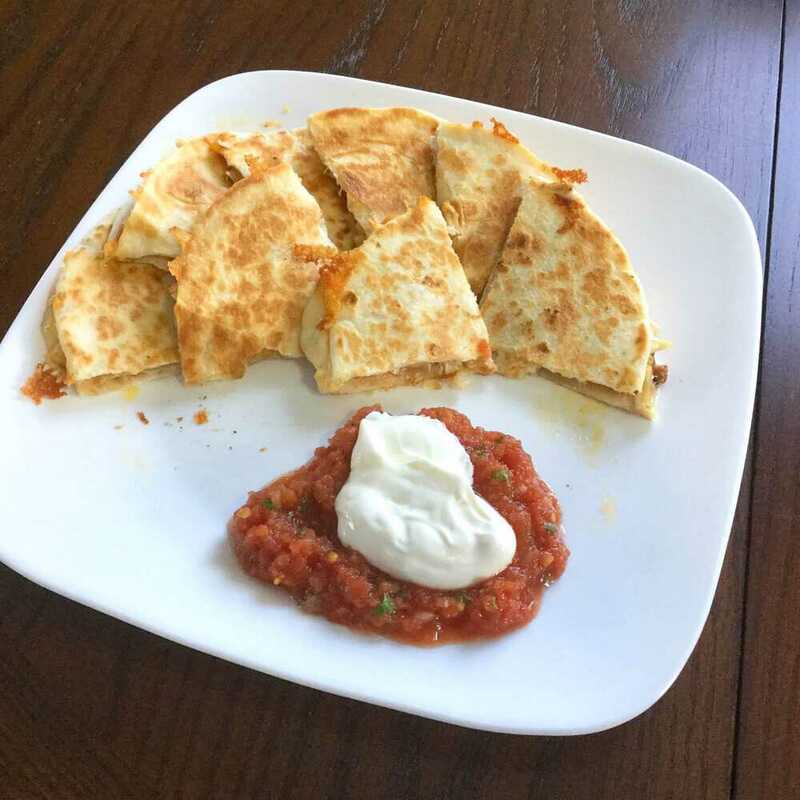 Quesadillas can make a great meal when you add some extra protein and fiber. We love ours with shredded chicken and a layer of refried beans. Plus, there are some options for toppings as well. You can have each person put together their quesadilla and then cook them all up on a griddle or in a large pan on the stove. Shredded Cheese: Experiment with different kinds of cheese or combinations of cheeses for new flavors. I hope these meals give you some ideas on how you can create options that will work for everyone all within the same meal. 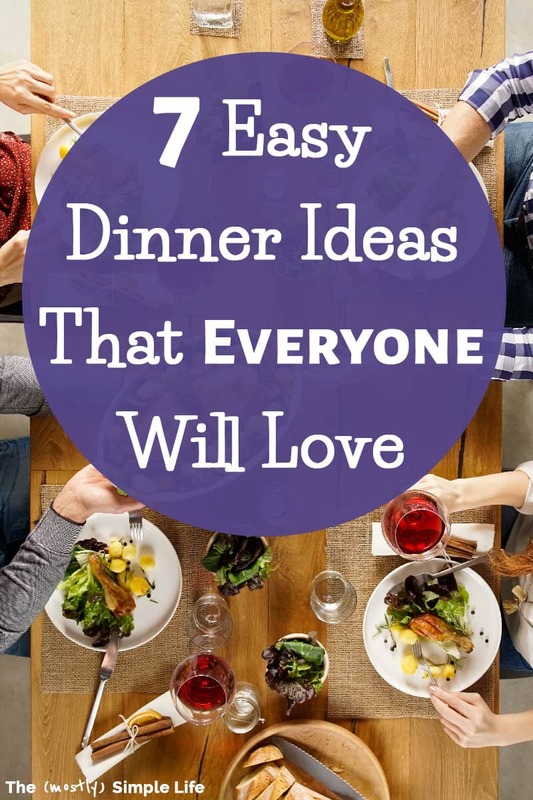 We have used many of these ideas with great success when we’ve had friends or family over so that everyone can eat a meal that they like. 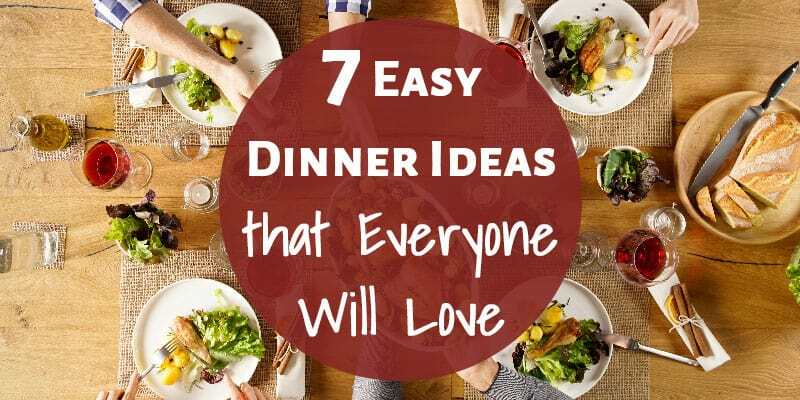 ⇒ Do you think some of these easy dinner ideas would work for you? Yes to all of these! Last week I was in charge of feeding a large group and to appeal to different tastes, diets, etc., we had tacos! And it’s super easy to do! 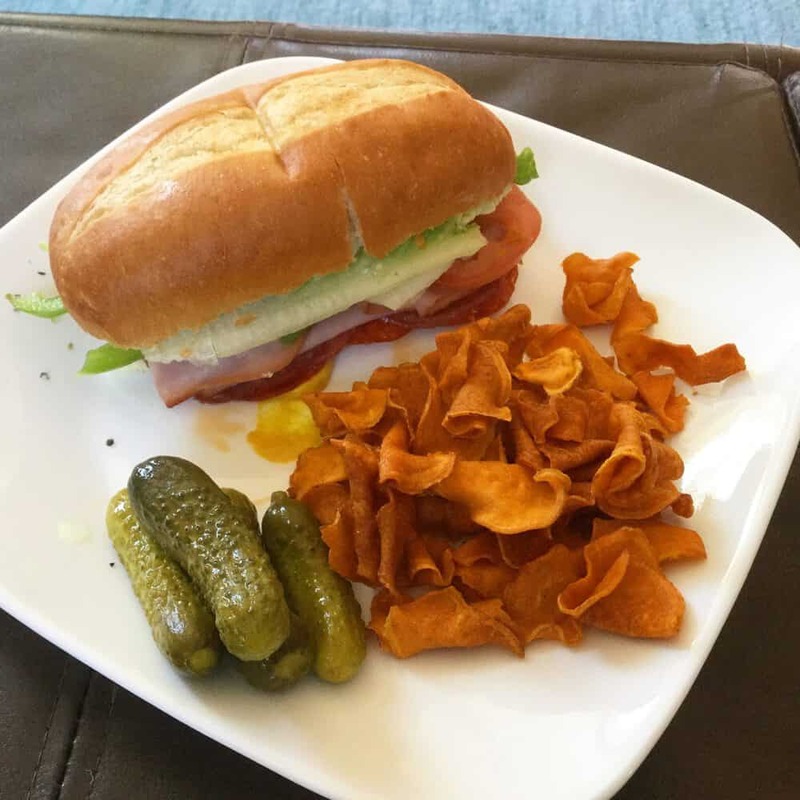 I often make these meals for my family because they taste great and are inexpensive and of course everyone can customize what they want. Good dinner = Happy Family = Success! Yay! Good dinner definitely equals a happy family 🙂 Tacos are a perfect meal for a crowd! They can work for pretty much any diet, allergy, or pickiness.